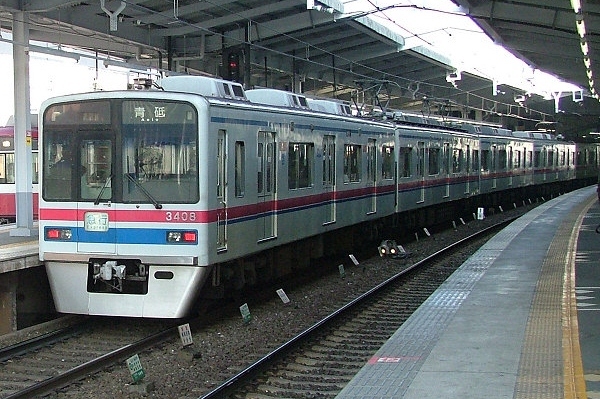 The 3400 Series is a three-door commuter-type electric multiple unit developed by Keisei using the undercarriage assembly of the original AE Series limited express trains. 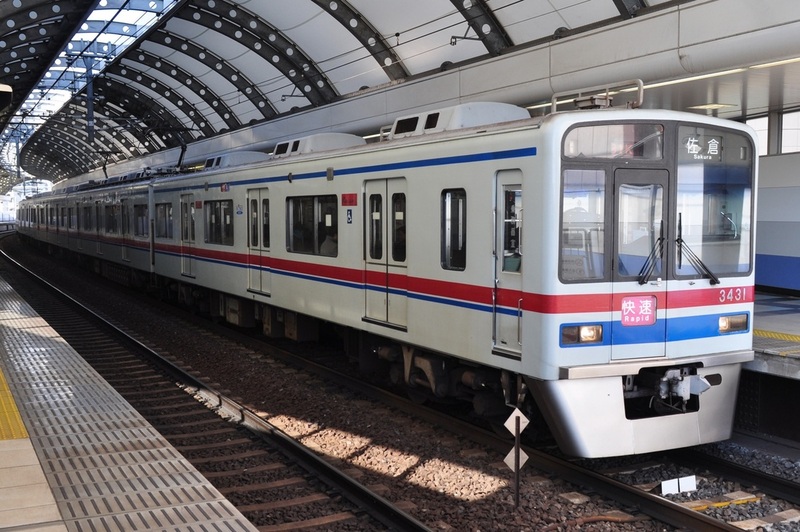 In 1990, Keisei replaced its AE Series of Skyliner trains with the newer and more advanced AE100 Series. Most of the bodies were scrapped, but the undercarriage assemblies, including the control devices, showed relatively little wear and tear. It was thus decided to combine the AE Series undercarriages with new commuter-type bodies to create the 3400 Series. Though nearly identical at first glance to the 3700 Series, the bodies of these trains are constructed of regular steel instead of stainless steel. 3400 Series trains are mainly used for express services on Keisei Lines and are capable of operating on Keikyu and Hokuso Lines as well. However, they are not equipped to operate on the Keisei Narita Sky Access Line.